Coaching had to hit me over the head to get my attention- even though this work truly is my calling. Looking back, I recognize I’ve been ‘in training’ all my life. The first big clue came when I was ten and classmates would seek me out for advice. What could I possibly know at that age? 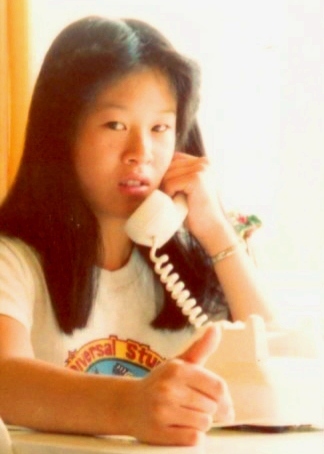 Back then my parents objected to the phone being grafted to my ear. Decades later my family simply shrugs their shoulders accepting it as just another appendage. My burning desire to support others led me to become an assistant ombudsperson and teaching assistant at university as well as a personal development instructor at a career college in my early 20s. The circuitous journey from there to here has shaped me to better serve my clients with compassion, clarity and commitment. I am a fierce advocate for people discovering what they want and then making it happen. Nothing is more thrilling than witnessing individuals getting profound insights that lead to lasting breakthroughs in their lives. Years as a television broadcaster taught me to ask provocative powerful questions, ‘hear’ the essence of the person beyond their words to intuitively ‘know’ the truth of what’s really going on then articulate it so they can ‘get’ themselves in a new way. My passion for creativity and innovation launched an independent interior design company specializing in the design and construction of high end residential homes. While the work garnered many awards, my most valuable offering to my clients was not design at all. It was my ability to effectively motivate the various stakeholders and manage the complex web of inter-relationships to successfully complete projects on time and on budget. It was the realization of this gift that brought me to professional coaching. I have a pioneering entrepreneurial spirit that says YES to dreams, and then finds the way to make those possibilities reality. Clients are drawn to my ability to inspire their own genius and potential so that they can have what they have longed for but hadn’t dared to believe was possible. Personally, I am blessed with a rich diverse life. I value family time, love salsa dancing, gardening, creative projects, travel and long walks along the water. I am supported by a loving partner, in awe of our five unique children and inspired by them to make a significant difference in the world for future generations.